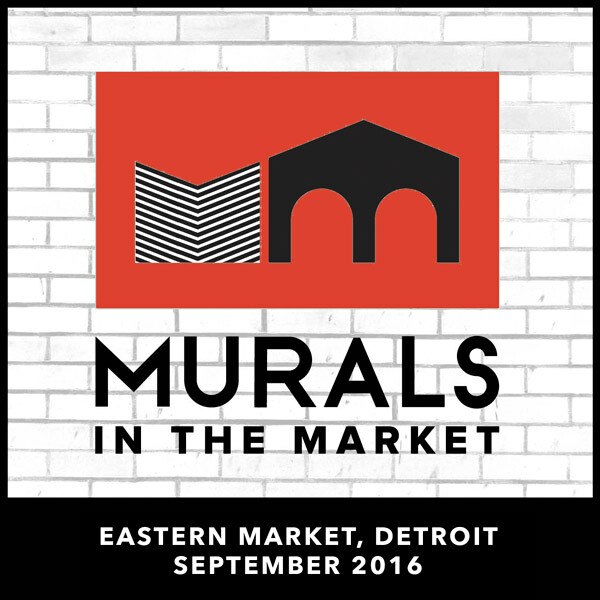 MOTORCITYBLOG: MCB NEWS: 2016 Murals In The Market Roster Announced with Over 50 Artists Return To Eastern Market This September! 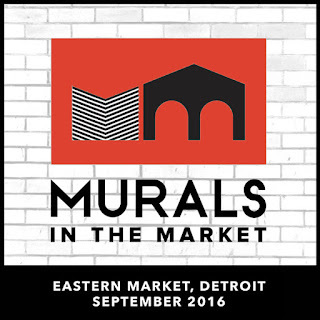 MCB NEWS: 2016 Murals In The Market Roster Announced with Over 50 Artists Return To Eastern Market This September! This September 15th-24th, Murals In The Market will make a triumphant return to Detroit’s Historic Eastern Market as more than 50 local and international muralists will be painting live throughout the district over the course of 10 days in the second year of the city’s only international mural festival. In the spirit of placemaking and public art we are proud to announce our partnership with the John S. and James L. Knight Foundation and Eastern Market Corporation as presenting sponsors of this historic public arts festival. In addition, Tyree Guyton legendary Detroit artist and creator of the Heidelberg Project will be joining Murals In The Market for a new activation. 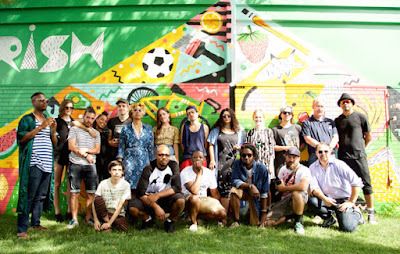 1010 (Germany), Alex Yanes (Miami), Apex (San Francisco), Ben Saginaw (Detroit), Ben Wolf (Detroit), Cey Adams (NYC), Chris Saunders (LA), Clifton Perry (Detroit), Olayami Dabls (Detroit), Dalek (Raleigh), Emad Rashidi (Cleveland), Ellen Rutt + Patrick Ethen (Detroit) Freddy Diaz (Detroit), Felipe Pantone (Spain), Ghostbeard (Detroit), Greg Mike (Atlanta), Halopigg (NYC), Hebru Brantley (Chicago), Hueman (San Francisco), Janette Beckman (NYC), Jeff Gress (Hawaii), Jeremiah Britton (NYC), Jesse Kassel (Detroit), Kevin Lyons (NYC), Kristin Farr (San Francisco), Lauren Harrington (Detroit), Lauren YS (San Francisco), Marka27 (Boston), Meggs (Australia), Miss Van (Spain), Mr Jago (UK), NNII (Detroit), Nicole MacDonald (Detroit) Patch Whisky (Charleston), Pat Perry (Detroit), Paul Johnson (Detroit), Paula Schubatis & Dessislava Terzieva (Detroit), Pixel Pancho (Italy), Ricky Powell (NYC), Selina Miles (Australia), Shades (Detroit), Sheefy (Detroit), SheryO (Singapore), Yok (Australia), Slick (LA), Tiff Massey + Sydney James (Detroit), Tilt (France), Tylonn Sawyer (Detroit), Tyree Guyton (Detroit), Vaughn Taormina (Detroit), Xenz (UK) and more! After an overwhelming show of public support last year -- and similar to many public placemaking projects -- Murals In The Market will again back their “Adopt A Mural” program. Local businesses and arts supporters will have a chance to sponsor an individual mural from their favorite artist and be commemorated with a special plaque. To “Adopt A Mural” from these amazing artists visit muralsinthemarket.com/support. In addition, Murals In The Market will also host dozens of events curated by participating artists including multiple art exhibitions, installations, live music, children’s workshops, community events, artists talks and more all throughout the Eastern Market District. All events will be free and open to the public as these local and international artists extend the market’s vibrant history of public murals by adding new large scale work that will embody the spirit of Detroit and the Market’s rich heritage. Building upon the resounding success of last year’s inaugural festival, Murals In The Market will continue to help expand Eastern Market’s walkable footprint, giving visitors a look into businesses and areas often unseen and underutilized in the Eastern Market, and by adding to the 75 public murals that are strategically placed through the Eastern Market District. Local and national sponsor will help make 2016 one of the best yet, as presenting sponsors, 1xRUN, Eastern Market Corporation and Knight Foundation will be joined by Behr, New Belgium, Montana Cans, Brooklyn Outdoor, Red Bull House of Art, Metrotimes, Aptemal, Faygo, Slow Roll, Paxahau, Recycle Here!, Thinkspace Gallery, Detroit Wick, Feet On The Street and Inner State Gallery. 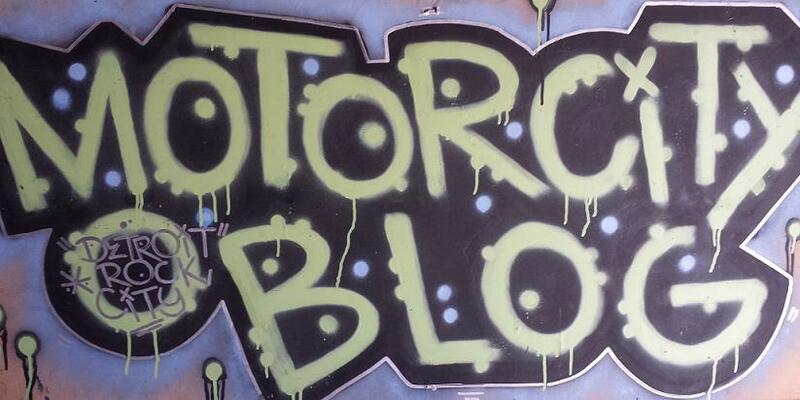 House paint and spray paint for Murals In The Market will be provided by industry leaders Behr and Montana Cans, helping artists create outdoor works of art that will stand the test of time. 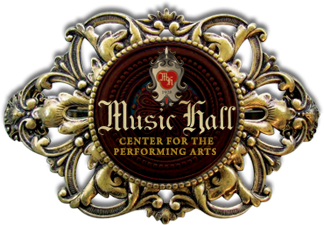 “Behr paint embraces self-expression and understands that our lives are enriched through art. 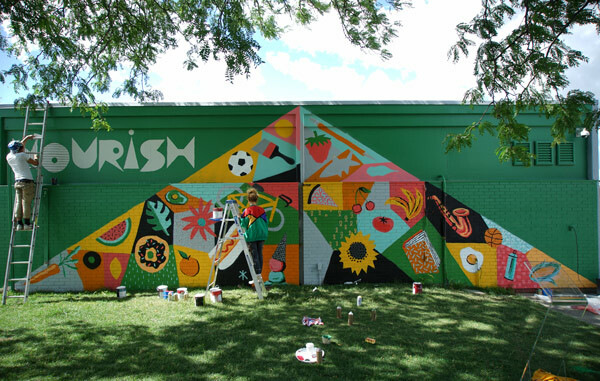 We are proud to be a partner for Murals in the Market, support the Detroit community and honored to help bring these artists’ visions to life,” Masco Corporation Director of Communications & Corporate Giving Sue Sabo said. Public art has long been an integral part of the Eastern Market district and experience. The 2016 Murals In The Market festival will expand on 40+ years of large scale public murals by bringing a new batch of world class local and international artists to add exciting new works throughout the market. 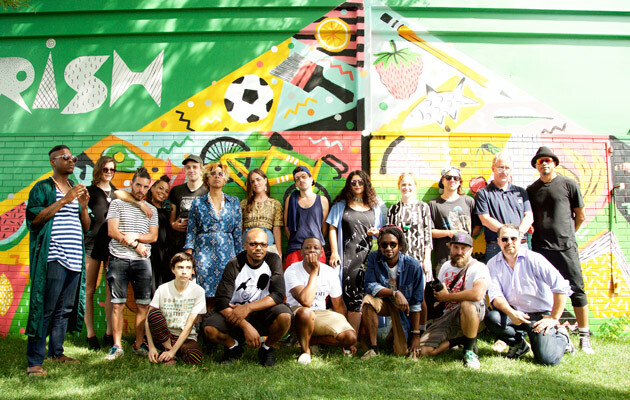 Artists from as far away as Australia, Singapore and Paris will join a diverse group of Detroit based artists that have made an impact on the public art scene. Once again Murals In The Market will continue to enhance the market experience and the district’s transformation into a must-see destination for arts -- as well as food -- in Detroit. Over the past 5 years 1xRUN and the company's fine art gallery Inner State, have curated and produced over 75 murals in Eastern Market alone, with more than 100 murals throughout the City of Detroit. With the creation of these murals, each area has seen a significant visual impact on the surrounding neighborhood as well as increased traffic, additional economic development and increased safety. In addition to creating new murals, the market will also host a series of events including discussion panels with culturally significant photographers & artists, a cultural tour with Detroit’s famous Slow Roll bike tour, art exhibitions, an Eastern Market block party, as well as nighttime activities coinciding the neighborhood's yearly Eastern Market After Dark on September 22nd. More information can be found at http://muralsinthemarket.com and on Instagram @MuralsInTheMarket and on Facebook @Murals In The Market.